Diwali is the Hindu festival of light, and this Saturday the 12th November, there is going to be a Diwali parade and celebration in Princess Street Gardens afterwards which looks great! Diwali symbolizes the victory of light over dark, good over evil and knowledge over ignorance. Diwali brings Joy, prosperity, knowledge, peace and wealth. People celebrate Diwali through distributing sweets, gifts and thanks giving to each other. 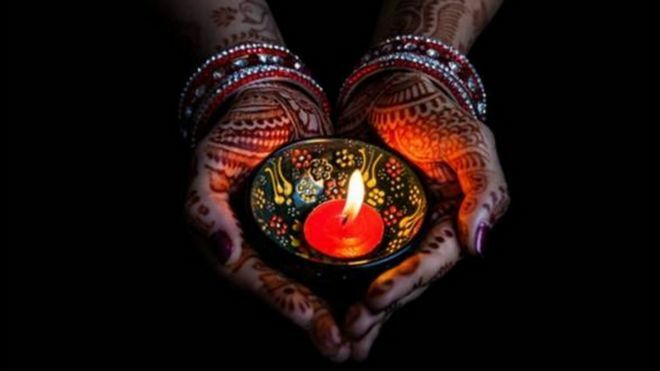 Edinburgh Diwali is committed to bring the richness of Indian culture to Scotland and to Scottish community by celebrating the Festival of Light in Edinburgh on Saturday 12th November at the Ross Band Stand. Their website has all the timings of the parade and celebrations in more detail, but the parade will start at 2.45pm from the City Chambers on the High Street with over 300 people carrying Diwali lights and dancers and musicians, from 4pm onwards at the Ross Band Stand in Princess Street Gardens there will be folk dancers, live music, Bollywood dance and the whole event will finish with fireworks. This looks fantastic and a great way to celebrate Diwali !! This entry was posted in Free events and happenings, Uncategorized and tagged diwali, diwali 2016, diwali parade, edinburgh diwali, edinburgh diwali event, fireworks, princess street gardens events by Edinburghfestivalsforkids. Bookmark the permalink.